Social media: how important is it really? Auto Remarketing Canada chatted with Roger Dunbar, vice president of marketing at TRADER Corp., to get the skinny. You might be surprised at some of his responses, which include contending that social media should not be at the forefront of dealership marketing efforts. Dunbar also offers his top three tips for what dealers should consider when creating a social strategy. ARC: What top three things do companies need to do more of to maintain a social presence? ARC: How much attention should dealerships pay to social media in a small-business marketing effort? RD: I believe that social is not the most important thing small businesses should spend time on. Other marketing efforts are more important. However, at minimum, efforts should be made with respect to reputation management. ARC: Should all dealerships have a social media policy to present to employees? If so, why? RD: Yes. Your employees represent your company and should understand the rules when speaking on behalf of the company. 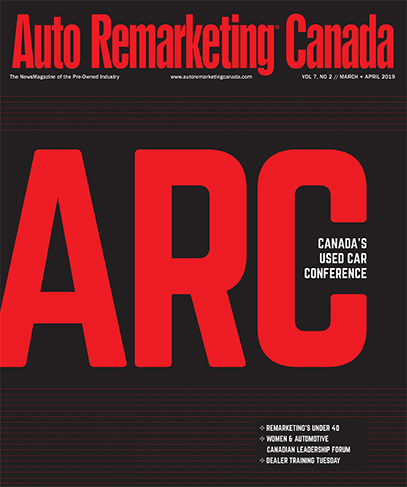 ARC: How can dealerships best use social media to support existing mediums and marketing channels? RD: Simply ensure that any current marketing, advertising or promotional messages are reflected in these channels (i.e. current). Also, create content with a sense of urgency, a reason for sharing. Social is all about the here and now. If there isn’t something interesting to say, that has no immediacy to it, then social isn’t going to work. Finally, find the “social” angle of the message you are trying to get across and use it … not the corporate, “marketing” message. ARC: What are the best ways to engage an audience through social media? RD: Social media platforms are not commercial platforms. Social communication needs to be “social.” Speak to people in the way people speak to each other, i.e. not marketing-speak. The content should not be a “corporate” message. Tone is critical. Make it interesting. Make it fun to share. Make your intended audience the hero. ARC: How best can dealerships measure the return on their social media investment? RD: You should measure the impact of all marketing efforts. Establish the objective upfront; decide what the value of the objective is and measure the response. It you think Facebook ‘Likes’ are worth $1 each in terms of building credibility than measure the time and energy in managing your Facebook site against the value you got back. If a YouTube view is worth $5, then measure it. ARC: What are the top three things dealers should consider when creating a social strategy? What is the objective? What ‘social’ objective are you trying to generate? Social doesn’t work directly so don’t think about it in terms of cars sold. That will come further down the marketing funnel. What is the value of each key metric in the platform … a view, a like, a tweet? If you don’t see the value, don’t do it. What is the cost of keeping the content fresh, interesting and appropriate? If you can’t afford to do it consistently, don’t bother. ARC: What damage can be done to a brand if the social media engagement isn’t properly executed? How can this be avoided? RD: Like all marketing efforts, you can either build brand value or destroy it. This can be avoided by understanding each social platform (e.g. negative news travels faster than good news, so don’t lose your temper), having clear objectives, monitoring the platforms and responding to issues quickly and honestly, and having experienced social media marketers involved. ARC: What constitutes “good content” on social media? RD: Anything that is positive, fresh, interesting, and “social” by nature. Think about any relationship and how they work best in real life. Stay positive, upbeat, be interested and interesting.